It's basically used to describe caucasians, though African-Americans will sometimes also be known as farang or as farang dam ('black farang'). Farang is also the Thai word for the guava fruit, so you can expect to hear farang eating farang 'jokes' if you happen to purchase any. Farang is also the Thai word for the guava fruit, because it was brought to then Siam by Portuguese traders over 400 years ago. The tree was thus called the farang fruit. Other Asians are generally known by their country of origin (e.g. kon jeen - "Chinese people", kon yee-bpun - "Japanese people"), while people from the Indian Subcontinent are often known as kairk (which translates as "guest"). Kairk is used to describe even fluent Thai speakers of Indian descent who have been living in Thailand for generations and consider themselves as Thai - obviously being referred to as a 'guest' in these circumstances, while not particularly offensive, is not exactly complimentary either. Some people get very offended at being called farang, but whether it's an insult should or not really depends on the context. ...A few Thais who are uncomfortable with using it will say kon dtahng bpra-tayt ('people from other countries') instead, but this is still pretty rare. Farang is basically a neutral word, but people who respect you (or who should respect you) will not use it - if you hear a work colleague, for example, refer to you as farang they probably mean it as an insult while a taxi driver or market vendor doing the same is unlikely to mean any offense at all. 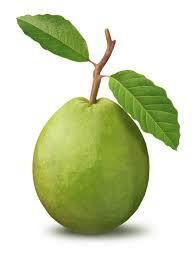 Farang keenok (Thai: ฝรั่งขี้นก), is a particular variety of guava, feijoa. which of course can lead to "farang eating farang" (ฝรั่งกินฝรั่ง) jokes from Thai people when foreigners are seen eating a guava in Thailand. This is because the guava was brought to then Siam by Portuguese traders over 400 years ago. The tree was thus called the farang fruit. Farang kee nok is a particular variety of guava, feijoa. 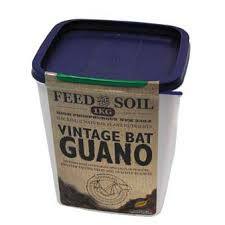 while keenok may mean guano . it is also a species of fish, Diagramma pictum, a species of grunts Haemulidae. "Farang kee nok" ... may be a reference of a Stingy or unruly (very unpolite) foreigner. I will leave it with you to ask a Thai what the word really means. "HAA HAA HAA" (that's slang for "laughter", not the Thai word for number "5"). cheers Mate! If you view the "Heart Culture" within our section on Thai Language, you will quickly realise it's difficult for their language to offend! Varieties of food/produce which were introduced by Europeans are often called 'farang' varieties. Hence, potatoes are man farang (in Thai: มันฝรั่ง), whereas man (มัน) alone can be any variety tuber; parsley is called phak chii farang (ผักชีฝรั่ง, literally farang cilantro); and chewing gum is maak farang (หมากฝรั่ง). Maak (หมาก) is Thai for betel, which many rural Thais chew for the euphoria it gives. When chewing gum was introduced, it was labeled maak farang, from association with a "chew". In the Isan Lao dialect, the guava is called bak seeda (TH: บักสีดา "guava"), which is sometimes jocularly refers also to a farang. Thai's greet each other with a Wai, but Farang "Shake Hands"
A handshake is a short ritual in which two people grasp each other's right or left hand often accompanied by a brief up and down movement of the grasped hands. While its origins remain obscure, archaeological ruins and ancient texts show that handshaking was practiced as far back as the 2nd century BC. Some researchers have suggested the handshake may have been introduced in the Western World by Sir Walter Raleigh in service with the British Court during the late 16th century.The handshake is thought by some to have originated as a gesture of peace by demonstrating that the hand holds no weapon. parting, offering congratulations, expressing gratitude, or completing an agreement. In sports or other competitive activities, it is also done as a sign of good sportsmanship. Its purpose is to convey trust, balance, and equality. Unless health issues or local customs dictate otherwise a handshake should always be made using bare hands. In some regions especially in Continental Europe attempting to perform a handshake while wearing gloves may be seen as an inappropriate or even derogatory behavior. In traditional American etiquette the requirement to remove a glove depends on the situation - "A gentleman on the street never shakes hands with a lady without first removing his right glove. But at the opera, or at a ball, or if he is usher at a wedding, he keeps his glove on." In Anglophone countries, shaking hands is considered the standard greeting in business situations. In casual non-business situations, men are more likely to shake hands than women. It is considered to be in poor taste to show dominance with too strong a handshake; conversely, too weak a handshake (sometimes referred to as a "limp fish" or "dead fish" handshake) is also considered unseemly due to people perceiving it as a sign of weakness.